This post is by Stephen Molloy, a leading authority on digital and mobile apps, partnering with the best and brightest in the field from across the world to deliver solutions for iPhone, iPad, Android and Windows. Last week a small group of us got to tune into a live stream from New York. 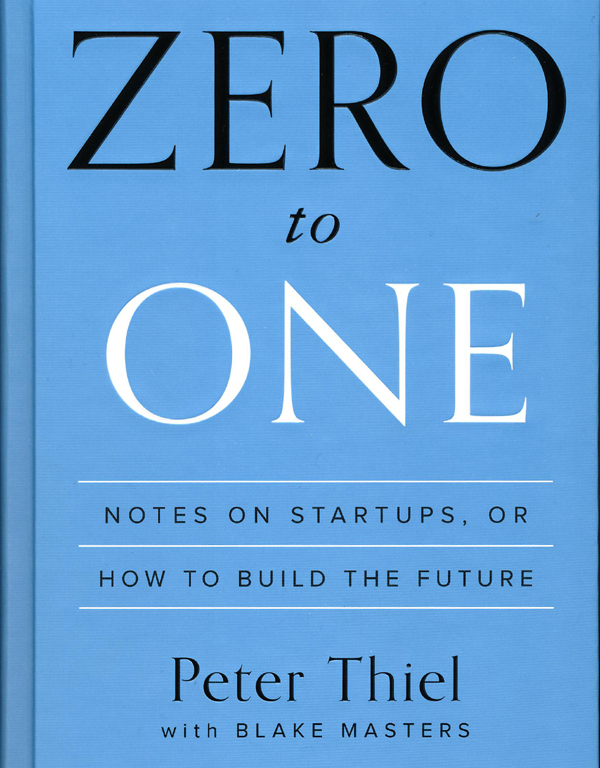 Peter Thiel was launching his new book Zero to One: Notes on Startups, or How to Build the Future. Many things were discussed from disruption models to the future of sustainable food. If you want to create and capture lasting value, look to build a monopoly, says Peter Thiel. Other big statements were made in this morning’s live stream for his latest book Zero to One: Notes on Startups, or How to Build the Future. Unless you’ve been living under a rock since 2004 then you’ve probably heard of Peter Thiel. If you haven’t heard of him, then you’d definitely have heard of PayPal, Facebook, LinkedIn and AirBNB to name a few companies he’s started or has been an early investor in. He’s an interesting guy with lots of stories to share which sometimes go on a tangent and can end up talking about space travel and living to 120. Possibly the most controversial concept that Thiel explores is his belief that capitalism and competition are opposites, while they are traditionally expressed as synonyms. “A capitalist is someone who accumulates capital, a world of perfect competition is a world where the capital gets competed away,” he said. Peter Thiel describing many startups which only have a lifespan of a couple of years. He invested in Facebook because it was different to most social media platforms and trends at the time. Most social media websites had nicknames or avatars or other identity code names, Facebook was different as it was linked directly to the genuine individual. For example, he sees Google as a capitalistic company because it is extremely profitable but it has no real competition in search. Thiel believes when you compete, you end up focusing on the people or companies you are competing against and you lose sight of what else is valuable and important. That is what keeps you from being innovative. I’ve always been interested in this guy’s lucky track record of funding the right companies at the right time. His $500,000 investment in Facebook netted a $1 billion return and was the inspiration behind the main character in the film ‘Thank you for Smoking’ of which he was also the producer. He was also the inspiration behind the HBO comedy series, Silicon Valley under the name Peter Gregory who was a quirky venture capitalist with bizarre body language and gestures. He’s also got the amusing reputation of everyone around him at PayPal also being very successful. People such as Elon Musk, who’s gone on to starting the electric car firm Tesla and launched Space Exploration Technologies (SpaceX) in June 2002. I highly recommend this book for any tech entrepreneur looking for the next big thing. I’d also recommend The Lean Startup and The Innovators Hackers Geniuses Revolution. 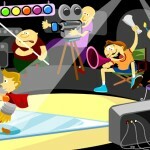 Are advertisers paying for all the production bells and whistles?